Two rookies ventured to purchase and renovate a brownstone that had been unoccupied for over 10 years. The clients asked us to push the limits of the building by extending it outward and upward. 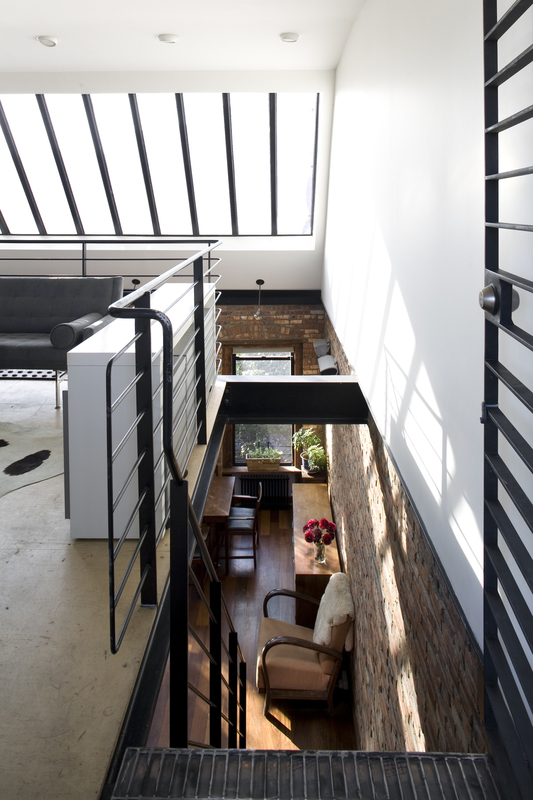 They required that the building be split into two residential spaces, one commercial space, and a private sound studio. The interior of the brownstone was gutted, including roof tear off and rear yard excavation. New spaces were formed by building both on the interior of the brick envelope and constructing new additional structures. 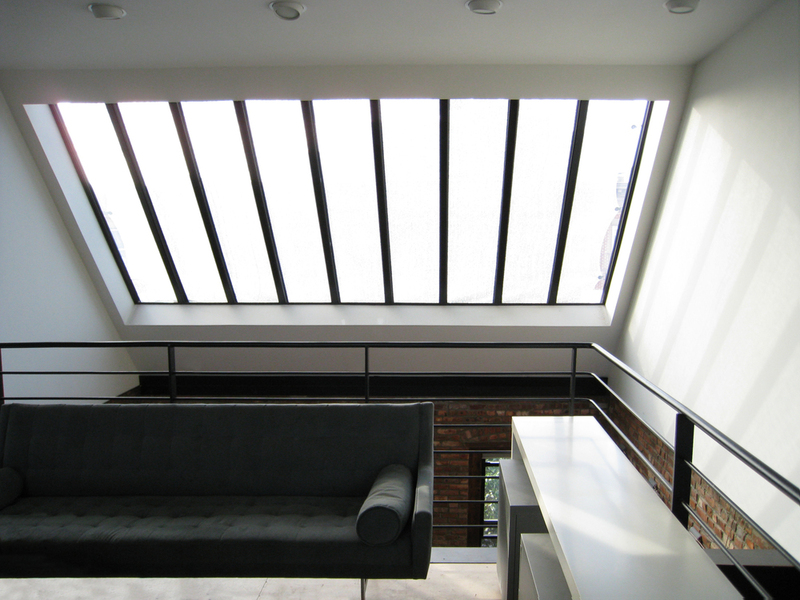 The upper apartment received a rooftop addition creating a sky-lit loft and roof deck. This addition fights the horizontality of the existing space by creating a volume open to the sky.